PrizePicks is the newest kid on the block in fantasy football ­— and fantasy soccer, baseball and hockey. Fresh out of Atlanta Tech Village, this startup prides itself as the simplest form of fantasy. PrizePicks found its footing in January of 2018, and launched their mobile game app on Thursday Oct. 23. Their app, built with the help of Tech alums, can be found on Apple’s app store. The PrizePicks mobile app and website allow users to place an entry in any of six athletic leagues — like Major League Baseball, the National Football League and others — in a matter of minutes. In comparison to other fantasy games, PrizePicks gives an instant payout to a winner immediately after the game. A player can place an entry by choosing two, three or four athletes to bet on the basis of their performance. Players must select an “Over” or “Under” option on each player based on a predetermined house score that predicts how well they will play. If all selections are correct, the player wins. Players can also view calculations behind the projection for each athlete. Entry amounts vary from between 10 to 100 dollars, and winnings are based on the number of picks initially chosen; two picks pays two and a half times the initial bet, three picks pays five times and four picks pays 10 times. Every selection must be correct for a player to get a payout. PrizePicks has faced some critics, who are skeptical of a real-money game that has materialized so quickly. Other fantasy games exist like DraftKings, but an in-app payment is unique. PrizePicks categorizes their game as a skill-based bet because players are choosing combinations of outcomes instead of just one — therefore, it isn’t a straight-cut sports betting game. PrizePicks has timed their release with precision, aiming to take advantage of the virality of an app platform with an engaging real money game. Winning is possible and happens often. Fedor Klimov, Tech ECON alumnus and head of business analytics and revenue mentioned how consistent winners of the game have a reputation in the office as “sharks”. On any given game day, the house is worried about bleeding money. Now, PrizePicks is focused on outreach and getting people to try the game. 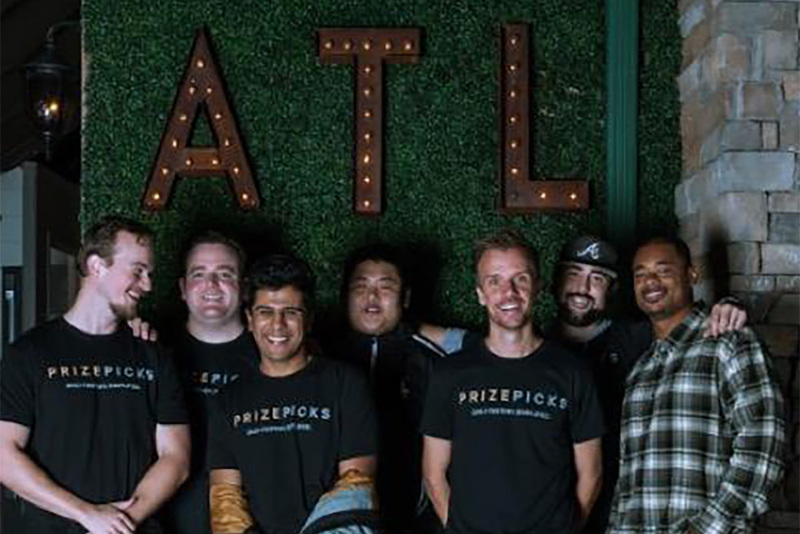 Viewing parties are held weekly at Big Sky Buckhead, and PrizePicks is looking to find their footing through their app. Another former Tech student has been heavily involved in the progress and creation of the game. Jay Deuskar, chief technology officer, has been with the company since its conception with co-founder and UGA grad, Adam Wexler. Deuskar was a fourth year CS student when he dropped out to focus all his attention on the company. The game features a user interface designed by Deuskar. The PrizePicks team has been working on further optimizing their system for about a year. Their app has seen two or three version updates. As of now, PrizePicks uses a direct deposit system and the first five-dollar entry for new users is free.